The blackberry is simply one of the healthiest fruits you can eat. They are full of natural goodness and have lots of essential nutrients and vitamins which are very good for your health. So, if you are someone that enjoys eating delicious blackberry Jam or pie, pat yourself on the back, as you’ve chosen a great antioxidant in fruit. The berries are one of the richest sources of antioxidants you can find. They have very high ORAC (Oxygen Radical Absorbance Capacity) value and can supply your body with a whopping 2036 units of antioxidants per 100 grams. Ripe berries are packed with powerful antioxidants like polyphenols and anthocyanins. Antioxidants, as you know, are very essential for your body. They fight and neutralize free radicals which can cause serious damage to your health. According to research institutes, regular intake of antioxidants can reduce the risk of several diseases including cancer. vitamin E can prevent all types of skin related problems caused by free radicals. Wrinkles, dark spots, and other such skin problems are usually caused by the action of free radicals on the skin. By eating blackberries regularly, you can stay away from these problems. 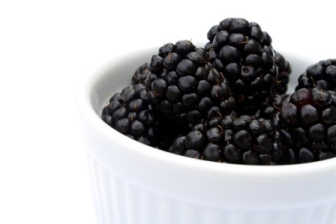 As well, blackberries contain lots of vitamin C and can help boost your immune system. 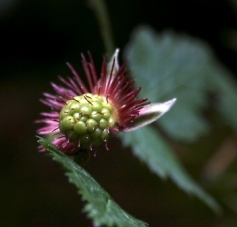 Amazingly, the entire plant of blackberry is full of valuable nutrients. Its stem, its leaves, and roots are full of tanantioxidant-fruits.comc acid, which is also a natural analgesic. The leaves, roots, and the outer parts of the stem are usually dried and used to make tea which has a lot of medicinal values. 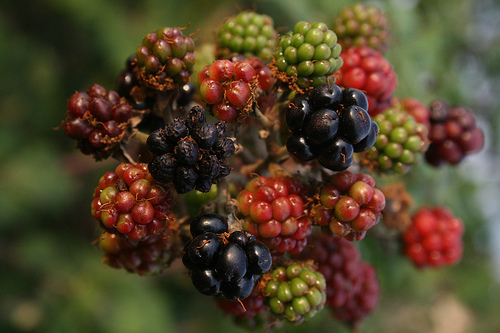 If you have any suggestions on recipes where blackberries are used to add to this website, please contact us. If you’d like to see a particular fruit featured on Antioxidant-Fruits.com, please contact us.